In order to help promote the recycling of all types of waste in the UK we have created the following recycling games and activities. Our games are aimed at children and hope they can be a useful resource in the classroom at school. They are easy to download, print in multiple copies and distribute around the class. At the top of each game there is space for the student to put their name and we have attached the solution (where appropriate) for the teacher to mark the games. We have created the following games based on the theme of recycling. They are relatively easy and hopefully can be completed by primary school students in order to help them learn about recycling in a fun way. Education of recycling will hopefully further increase recycling rates within the UK in the future. We welcome you to download, print and share our games, however please leave our logo in place as we created the original resources. A printable colouring template for children to print and colour using pencils or colouring pens. This can be a great group activity and helps educate children on the 3 R’s, Reduce, Reuse and Recycle. To print, simply click the image to follow through to the printable PDF version and send this to print on an A4 printer. The park has been littered with waste that should be recycled. 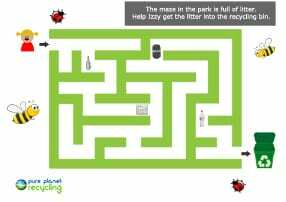 Help Izzy get the rubbish to the recycle bin in this simple maze game. Ideal for primary school children to follow and find the route through the maze. To play, simply click the image to follow the link and print the game onto A4 paper. 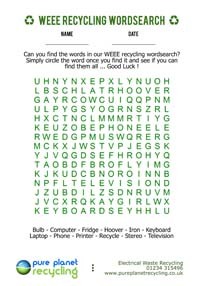 In order to play our WEEE recycling wordsearch simply click the image to download or print the game. The keywords to find are based on equipment associated with Waste Electrical Electronic Equipment Recycling. There are 12 keywords to find in total. It is A4 sized in PDF format, easy to print off and distribute around the classroom. The solution is available using the text link below the image. This links to the PDF file in order to download or print. 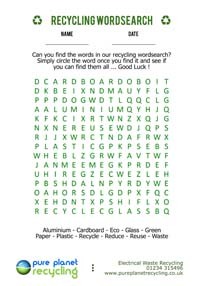 In order to play our recycling wordsearch simply click the image to download or print the game. 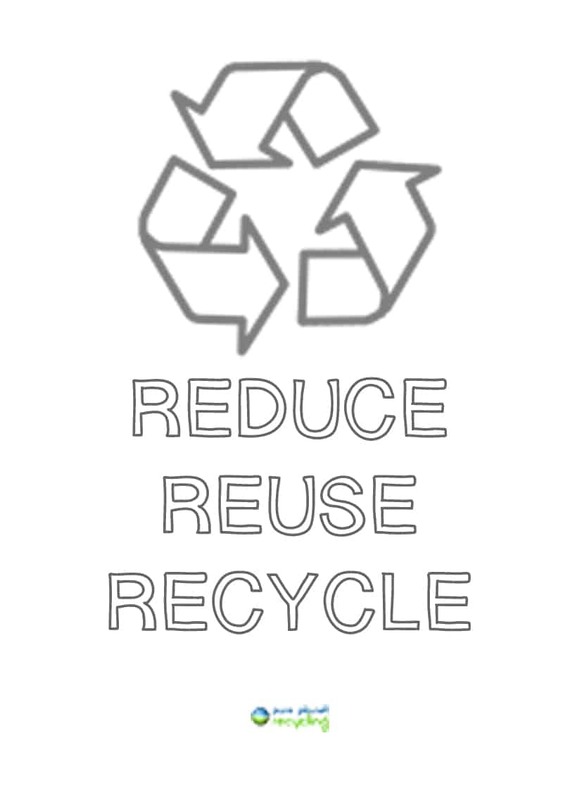 The keywords to find are based on materials that you can recycle from the home and general recycling words. There are 11 keywords to find in total.